If you ask us, Arizona is a pretty underrated state. We have so much to show off, from the desert and mountains to stunning architecture and, believe it or not, lovely sprawling suburbs. Whether you’re a native looking for a new aesthetically pleasing hangout, or a recent transplant eager to find out what Arizona’s got to offer, we’ve found the most beautiful places in Arizona for you to visit. 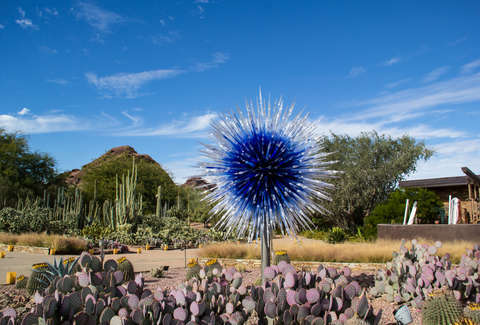 The Desert Botanical Garden offers some of the best ways to experience Arizona’s desert landscape with exhibits, art installations, and activities year-round. 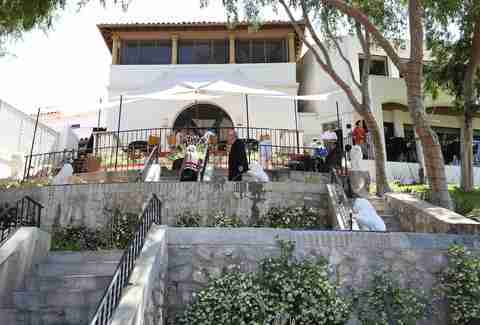 The 140-acre garden is a testament to the desert’s beauty with all the area’s native plants, cacti, and trees. This fall, you can celebrate Dia de los Muertos at the Ofrenda exhibit, or even go on a butterfly walk. Of course, if you’re not up for a special event, you always have the option of taking a leisurely walk around one of the garden’s six trails. 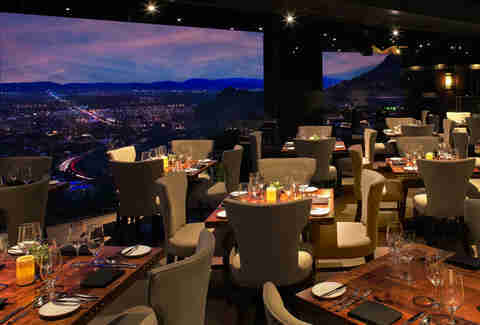 The Top of the Rock is one of the most unique restaurants in the Valley -- not only does it boast beautiful architecture with windows wrapped around the entire building, but it has a cozy and comfortable patio with an exquisite view of the city from way, way high up. If you ask us, there are few things more beautiful than having a glass of wine and the Meyer lemon risotto while looking over the city lights on a breezy evening. Sedona is one of Arizona’s top tourist destinations, and for good reason. The vibrant red rocks, greenery, and mystical atmosphere make it an unforgettable city that’s unlike any other. You can’t fully experience Sedona’s beauty without a hike, and Oak Creek Canyon is our personal favorite. This trail has everything you could hope for, including several overlooks to better see the beautiful views of Sedona’s colorful formations, picnic areas, and clear swimming holes. You know that Microsoft Office background photo of a canyon that you can’t quite believe is real? Well, it is real, and it’s right here in Page, Arizona. What’s even better is you don’t even have to be a professional to get an amazing photo; it’s that incredible in real life. 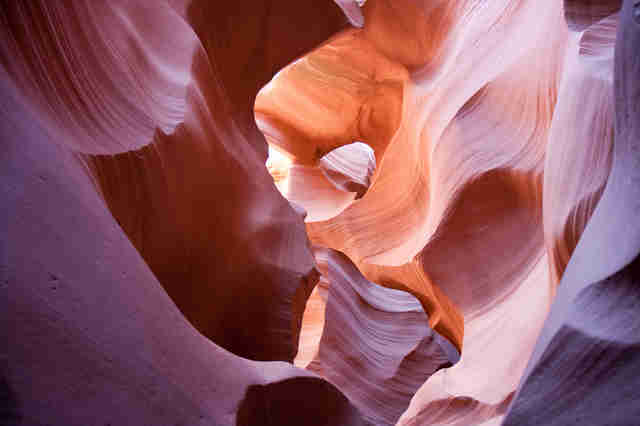 The canyons feature red and orange smooth waves of rock that have been perfectly formed over thousands of years. The upper and lower canyons are both awe-inspiring; just cross your fingers you get lucky with a great tour guide. William Wrigley Jr. (yes, of Wrigley’s gum) built this house back in 1932 as an anniversary gift for his wife. After many years, a few different owners, and a near demolition, it’s now a restaurant and event venue. The sprawling home offers views of Phoenix and incorporates elements of Mediterranean, Spanish, and California Monterey-style architecture. You can experience it for yourself with a tour, but we recommend making a day of it and enjoying one of the delicious lunches, too (especially pastas like the Casarecce Pesto made with heirloom cherry tomatoes). Many people forget that Arizona isn’t just a desert -- the state actually boasts some breathtaking snowy views, too. At Sunrise, visitors can look forward to three snowy mountaintops, each with their own unique vistas of the area below, including volcanic cinder cones. Year-round, the hills are covered with picturesque pine trees and greenery that might make you forget that you’re in the Southwest. 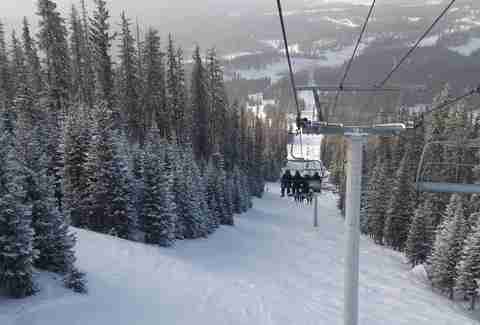 Even if skiing or snowboarding isn’t your thing, ride the ski lift for the view alone and escape the Phoenix heat. 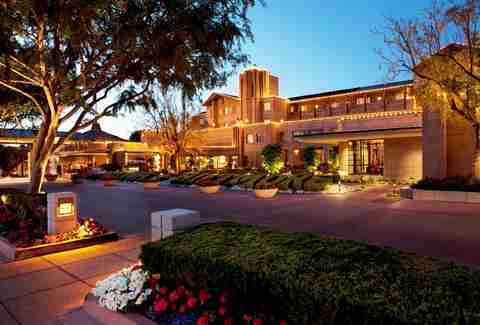 The Arizona Biltmore has been a destination for presidents, celebrities, and tourists for almost 90 years. It was designed in the iconic style of Arizona architecture legend Frank Lloyd Wright, and flawlessly encompasses the spirit of the Southwest. From the 39 acres of gardens and impressive landscaping (including a spelt-out “Biltmore” across the front of the resort), to the glimmering pools and luxurious finishes throughout the property, this place is truly more than just a hotel. The resort’s original pool, The Catalina Pool, is even known as Marilyn Monroe’s favorite pool, and if it’s good enough for Marilyn Monroe, it’s certainly good enough for us. 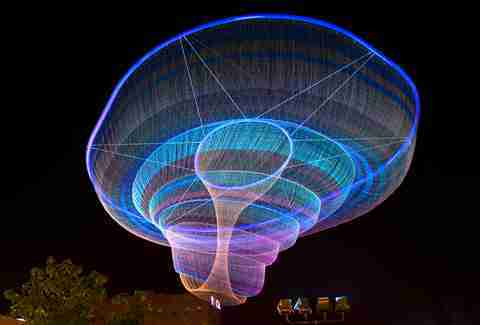 The incredibly unique, 145ft sculpture in Downtown Phoenix’s Civic Space Park was created by Janet Echelman and is the conversation piece of the city. While interesting to look at during the day, it becomes an astonishing masterpiece at night when it is illuminated in color. Even more interesting is that the colors change throughout the year, according to the season. It wouldn’t be a list of Arizona’s most beautiful spots without the Grand Canyon. 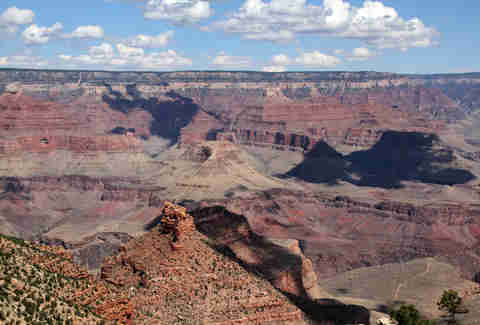 The canyon is more than 270 miles in circumference, a mile deep, and up to 15 miles wide. Its allure is largely due to the different layers of rock that create a breathtakingly beautiful landscape -- beautiful enough to draw nearly 5 million visitors to the national park each year. 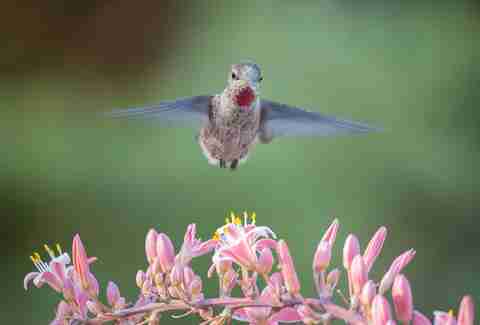 There are also here are more than 1,750 plant species throughout the different ecosystem. There’s also approximately 70 species of mammals, 250 species of birds, 25 types of reptiles, and five species of amphibians throughout the park’s different ecosystems (if looking at all that gorgeous rock gets old). One of these animals -- the short-horned lizard -- is known to shoot blood from its eyes to scare away predators. Jamie Killin is an Arizona native always on the hunt for the state’s best spots. Follow her on Instagram at @jamiefayekillin.